It feels like the last two years since Donald Trump has been inaugurated President, you can tell when the outrage mob, fed by the corrupt, activist media, has been ignited the moment when your Facebook feed is filled with outrage posts from any liberal friends (who have not unfriended you yet) about some alleged atrocity either the President or a supporter of his has been accused of. 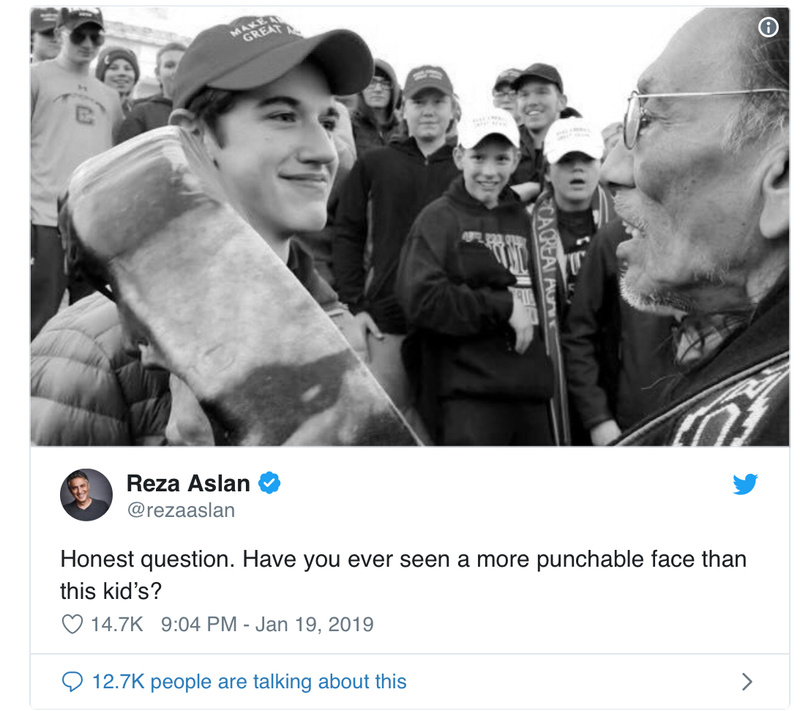 Yesterday and this morning, the liberal outrage mob on social media was fired up about news reports that Covington Catholic School students allegedly surrounded and harassed a group of native Americans, in footage that was shot in the steps of the Lincoln Memorial this past Friday during the pro-life March for Life. The fact that several students wore Make America Great Again hats made the corrupt liberal media giddy. Except there was more to the story that has come out in the last few hours. Unedited video footage paints a different picture than the one portrayed by the media. Unfortunately this is not the first time the corrupt, activist media has taken the opportunity to slander conservatives with false accusations of bigotry. On March 20, 2010, Tea Party activists who opposed the Obamacare legislation were slandered by the media, after Congressman Andre Carson made the claim that he, Cong. John Lewis, and other members of the Congressional Black Caucus had the “n-word” yelled at them 15 times and were surrounded by Tea Party activists on the steps of the Cannon House Office Building. This lie against the Tea Party was being repeated without question until the late Andrew Breitbart dared to fire back at the claims, using videos posted by several who were on the scene that day, including this blog. Just like March 2010, the corrupt, activist media found another group of conservatives to tar and feather with their favorite stereotype of white racist bigots, using the same out of context footage they routinely accused Andrew Breitbat and James O’Keefe of. The fact that Make America Great Again hats were worn by those alleged was the icing on the cake for the corrupt media. condescension towards voters of President Trump, who they despise because he is not part of their good ole boy GOP country club. My question is when will the media be held responsible for the spreading of inaccurate news that may hurt the lives of teenagers? Does their willingness to do anything to not only bring a President they hate down, but also defend the sacred blood sacrament of the Religion of Liberalsm (abortion on demand) override their so called “objectivity” as well as responsibility in using their First Amendment right to freedom of press? 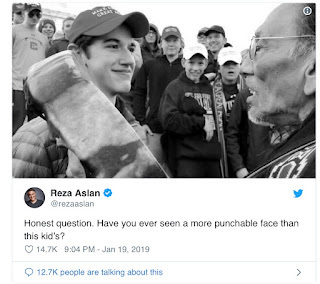 Well done liberals in entertainment, you elected Democrats who have attacked these teens, and you at CNN and the other Fake News corrupt activist media outlets. You showed this weekend that all the bigotry you claim to oppose isn’t with conservatives, it is with all of you.